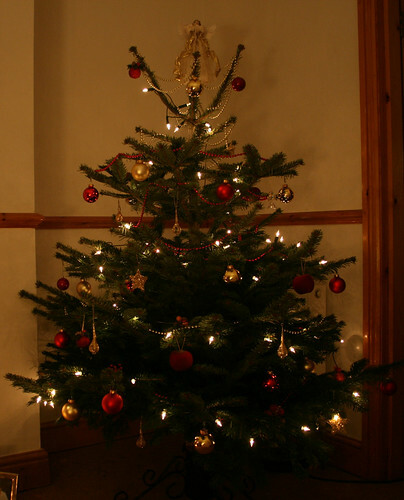 How are you getting on with your Christmas preparations? I’m feeling fairly relaxed, but then I have the luxury of having this week and next off work, so I can potter about at my own pace getting things ready. I’ll be stocking up on goodies, wrapping final presents, cleaning and tidying, baking and generally enjoying the Christmas magic. I’ll also be icing the cake which I’ve been lovingly feeding with brandy over the past weeks, but to be honest I’m not sure what it’s going to taste like. Here’s where I come clean and tell you I overcooked it (sob!). 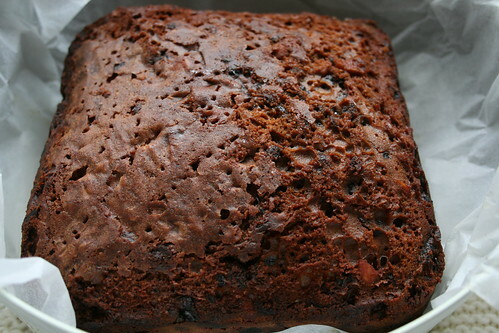 This was the first Christmas cake I’ve ever made and I have to say I was a little anxious about the length of cooking time and the instruction not to open the oven door until after four hours. Maybe I should have trusted my instincts and checked on it towards the end, but then would it have sunk? I must confess I didn’t wrap the tin in brown paper as the recipe said, as I had none. Would that have made a difference? I’m not sure. To be honest I think the real culprit was my oven and the fact that I had it on fan assistance but didn’t compensate by turning the temperature down a little. The dial can be a little tricky on my oven so I may have even had the temperature a little too high. And herein lies the problem. A recipe can specify a temperature and length of cooking time, but every oven is different so the results will vary. This just highlights the fact that there is so much more to cooking than following a recipe. It isn’t really about following instructions to the letter; it’s so much more instinctive than that. Oh well, never mind, maybe when I cover the cake with icing no one will notice, or maybe by that point they will have had too much of the Christmas cheer to notice! There’s certainly enough in the cake!